Remember to pause and enjoy the little things. Me? 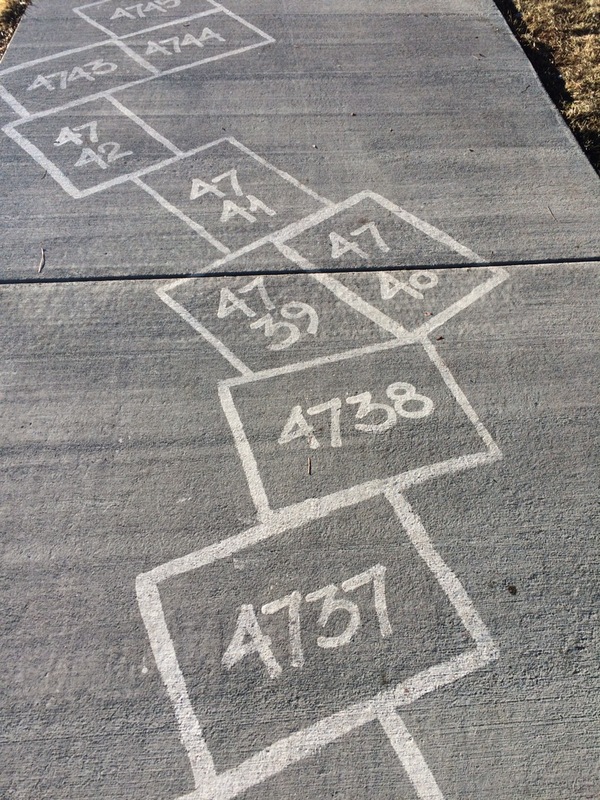 I stopped to appreciate 4737-4745 on the longest ever hopscotch this morning. If only I’d had more time, I would have hopped them all. I’ll be back with a vengance on the 26th! We have so much to talk about. Gum surgery, traveling stories, knitted objects, and more. I think there may even be a year-of-Afthead celebration to occur. Yay! Afthead Celebrations to look forward to! I’m in! I had the darnedest time getting my spellcheck to stop changing Afthead to Fathead! What a dumb tool!